Currently I having comm tank with Arowana, Luohan and BP. If it is OK to feed all sort of FH-G1(Head & Redsyn) and AR-G1/G2 together? Hi Luohan Ranger, thanks for your query. Hi bro , i just bought Arg 2 today. realise the size is smaller compared to the Arg 1. Is arg 2 design to be used as a supplement together with arg 1? Or can i use only Arg 2 as a staple food? thanks . Yes, the size of AR-G2 s smaller than AR-G1. You may just use AR-G2 alone to feed your Arowana. AR-G2 is formulated to better increase the coloration of the fish and at the same time promote the growth of it. Today I fed my vfsr with ARG2 and he ate many pellets within 4-5 minutes. Can I also mix it with SA-G1 to boost its growth or should I just stick with AR-G2? So then, the AR-G2 is meant as a full replacement for the AR-G1..? So far, my arowana seems to be enjoying the G2 and I'm using it as the sole dietary option. Should I be feeding other pellets for variety? AR-G2 is not really meant to be a replacement for AR-G1 but rather an compliment to it as AR-G2 main benefits is on color improvement. 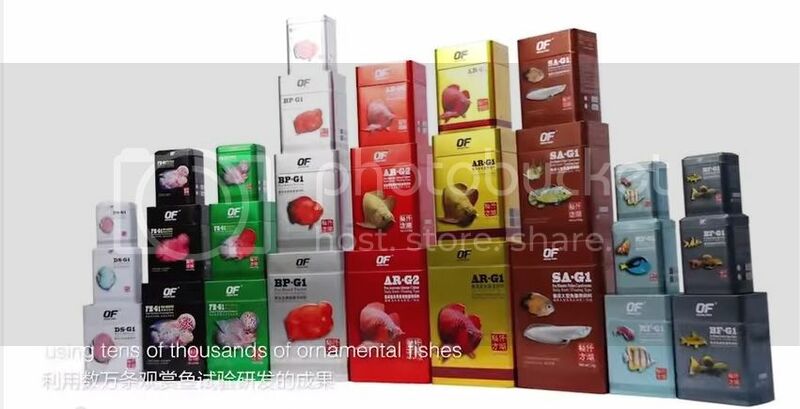 But because the ingredients in AR-G2 is different from AR-G1 and is more fragrance, that's the reason why you might notice that Arowana might prefer the newer version. Thanks for the reply. So then it would be beneficial for me to feed both the G1 and the G2 for optimal results and nutritional value? What other feeds should I be using in tandem with the aforementioned pellets? I also realised that colour enhancement was never really quantified. Does it help both reds as well as golds? All times are GMT +9. The time now is 01:07 AM.